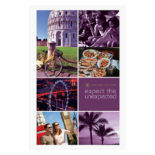 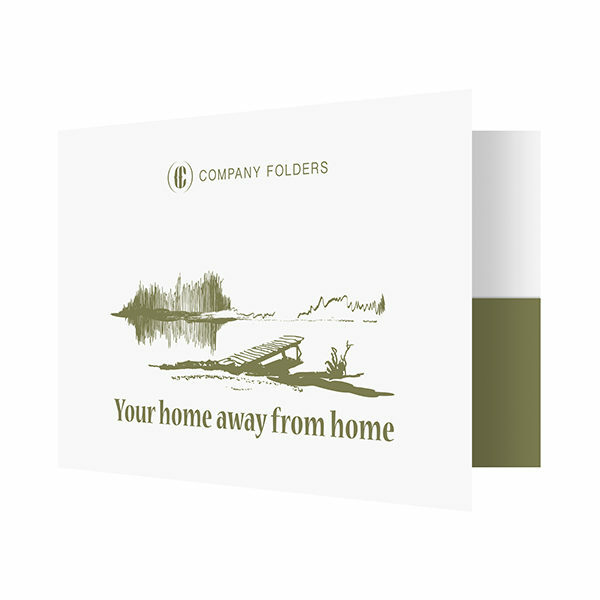 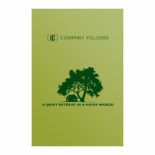 The idyllic lakeside setting printed in a soft bronze color gives this travel folder a rustic, homey feel. 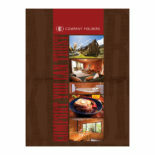 It’s a nostalgic design likely to attract audiences with happy memories of peaceful lakeside vacations. 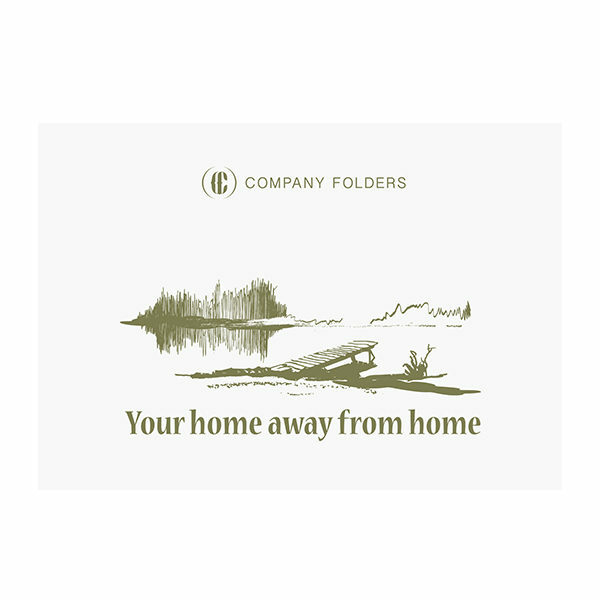 This single pocket folder template is perfect for a bed and breakfast looking to present their customers with receipts, brochures, or other important documents in a stylish way. 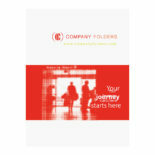 Size Closed: 10" x 7"
Size Open: 20" x 7"
Slits: The die cut template includes multiple styles of business card, CD/DVD and brochure slits that can be applied. 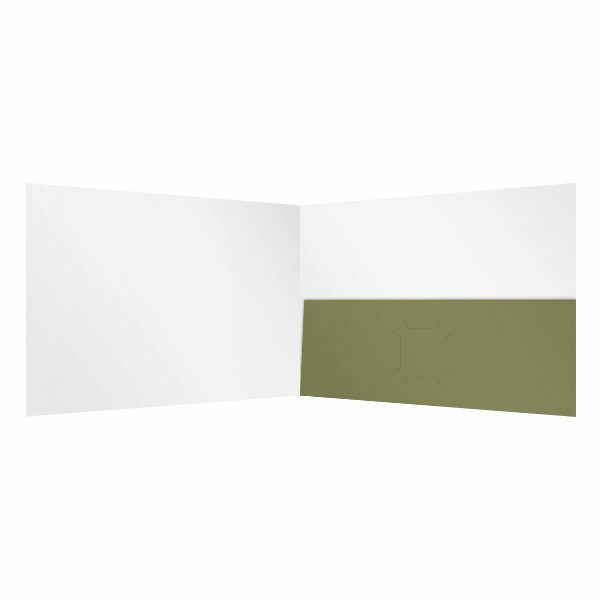 When you open up the Illustrator (AI) file, please remove any unwanted slit options.